Every house has fire and smoke alarms installed. If your house does not, have them installed first thing. Most landlords who have fire and smoke alarms installed do not check them periodically, and when the time comes they are ineffective to work. You must ensure that you check all alarm systems after certain intervals in order to have them working properly at all times. If there is a problem, get it fixed as soon as possible. Also, you can have an emergency fire escape plan and let your tenants know about it. Majority of deaths occur from smoke inhalation, so evacuation in such a case is critical. Ensure that all locks to your doors and windows are in proper working condition. In order to ensure maximum safety, have a routine check of all locks, fixtures, and get anything broken repaired as soon as you can. Identify any weak spots in entering the home and have them sealed, such as the basement window. It is important to walk around your property occasionally and identify any loose wires, broken hinges, poorly lit staircases and other lightening aspects which may pose safety risk. In order to keep your house safe from theft, it is recommended that you properly light it and keep the entrance free of clutter of any kind. Installing a security alarm will help you secure your property from unwanted entry or break-in. If anything, it delays a break-in and informs of unauthorized access. Like smoke alarms, ensure that your security alarm is in working condition. For extra security, you may also install video cameras at the entrance so you can keep an eye on who is coming in and going out. As the landlord, you should discuss this with your tenant and ask them to hire only reliable service providers for repair and maintenance. You may also give them details of someone you know who does the work for you on a regular basis. It is very important to keep unidentified men from entering your house. If your property is standing vacant for some time or until the new tenants move in, make your house look like someone’s been living in it. This will keep any unwanted attention of burglars at a distance. Have some regular check your house and keep a light or two in the porch and on the inside open. In whichever locality your house may be in, to make it safe for you and your tenant, know who lives around you. 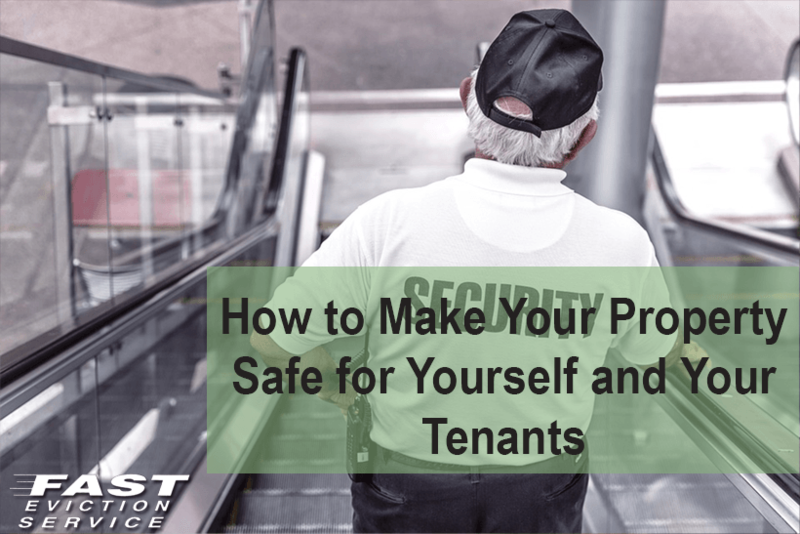 It will help to get assistance in times of need and also have the neighbors watch out for your property when a tenant is living in or when it is vacant. Most times landlords do not consider making contact with the neighbors, but it is important. Encourage your tenants to know the neighbors too and keep a direct contact with them on your own. As the owner of a property, you must ensure that your house complies by all the safety and health standards and it is safe by all means for your tenant.